Before discussing details of benefits and side effects of krill oil, it is important to be aware of the details related to the oil. Those of you, who are not aware of what krill oil is and the use it serves, read on. Krill oil is often considered as an alternative to fish oil. It is oil that is made from krill. 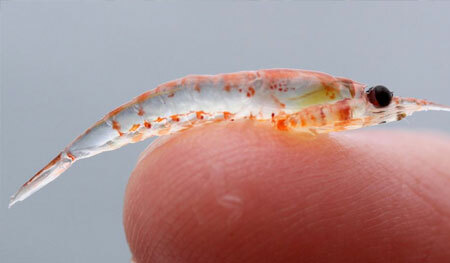 Krill are tiny (often 1 to 6 centimeters long) shrimp like crustaceans found in the sea. They are often consumed by whale and other sea dwelling animals for their regular food intake. What Does Krill Oil Contain? Krill oil contains a lot of useful components namely omega 3 fatty acids like EPA and even DHA. Omega 3 fatty acid is a vital part of our diet and it is not produced naturally by our body. The presence of omega 3 fatty acid helps in improving the growth of brain and can also come in handy in protecting the person from cardiovascular diseases as well. They are also rich in astaxanthin which is a powerful antioxidant. Astaxanthin can cross the brain blood barrier and it protects the central nervous system from damages that can arise because of unstable and free radicals. Vitamin A and E are also present in minute amounts. Owing to the presence of these components, there are a lot of health benefits that krill oil has and it has been used in a widespread manner. Perhaps, one of the key benefits of krill oil has to be its use in keeping the cholesterol level in check. A lot of research and surveys are being conducted to assess the actual effectiveness of krill oil in lowering down the level of LDL (low density cholesterol) and increasing the level of HDL. It is believed that the presence of omega 3 fatty acid components like EPA and DHA makes it a good choice for cutting down the extra cholesterol levels. Can Krill Oil Help In Arthritis? There are studies that have linked the use of krill oil in helping people deal with rheumatic arthritis. A study conducted on mice proved that krill oil was extremely effective in curing arthritis. However, human research is still not over. It seems likely that it can help in getting rid of the pain and is a handy choice for curing arthritis. It can also come in handy in osteoarthritis treatment as well. Although, krill oil has a lot of benefits, people are skeptical of the side effects that can arise because of its use. It is extremely important to note that you should refrain from the use of krill oil during pregnancy. No thorough research has been conducted regarding how krill oil impacts the health of a pregnant woman. Further, there have been reports that krill oil has anti coagulant effects. So, those who are already opting for medications for thinning the blood need to consult their doctor before using krill oil. Some people are allergic to seafood and such people should avoid the use of krill oil because the supplements contained in the oil can hamper the smooth functioning of the body. Loose stool, diarrhea and indigestion have also been reported in a few cases. Despite the few side effects that krill oil has, a lot of people are choosing krill oil over fish oil. It is slowly becoming the new alternative and one cannot deny the positive health benefits that it has to offer. Those who are a little skeptical of using krill oil can ask their doctor for an opinion. 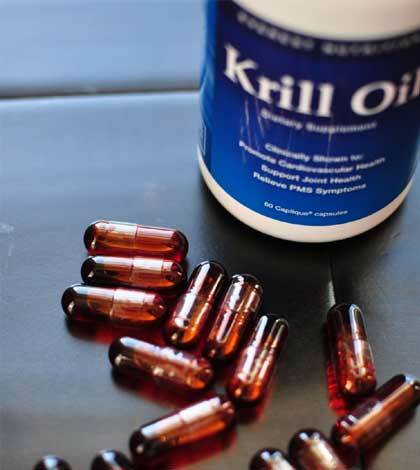 By far, the biggest benefit that krill oil has to offer is its profound use in keeping the cholesterol levels in check. So, if you are looking for a healthy alternate to fish oil, krill oil looks to be a benefiting choice to opt for.